What better way to spend a Sunday afternoon! 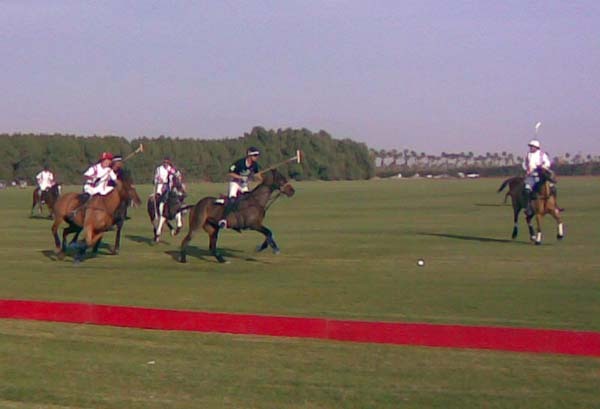 The Eldorado Polo field is in nearby Indio so a short drive to enjoy this ancient sport of Kings. We nestled in among other spectators with our chairs by the announcer so we could pick up some lingo and learn a few of the strategies. It was thrilling to feel the earth vibrate from the hoofs of the racing horses. It is said they can get to speeds of 30 miles per hour yet it seems they can turn and spin quite promptly. Notice also that their tails are plaited to keep from getting tangled. 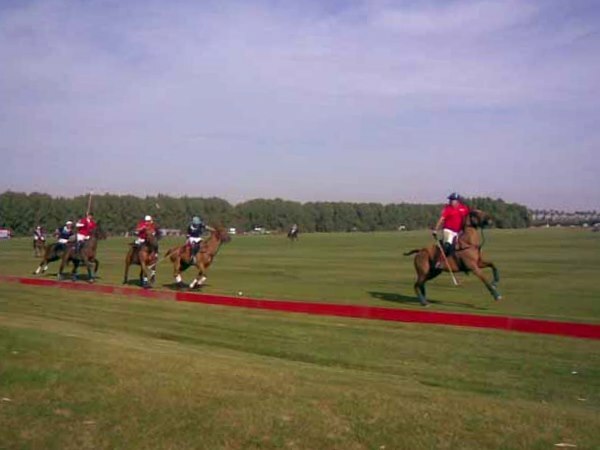 After the third 7-1/2 minute Chukker, the spectators took the field in a divot stomp with a glass of champagne – now: how fun is that! The hoof prints could definetely be seen even when they didn’t create a divot. This second game went into sudden death overtime and ended uneventfully with a penalty shot. This entry was posted in California, Sports. Bookmark the permalink.